London, 27 July 2007. SKY and Sony Computer Entertainment Europe (SCEE) today announced the formation of a Joint Venture company to deliver on-demand entertainment content to owners of the PSP™(PlayStation®Portable) in the UK and Ireland. The Joint Venture company, with equal Board level representation from SKY and Sony Computer Entertainment Europe will draw on the unrivalled entertainment aggregation expertise and technical leadership of SKY, and the handheld entertainment knowledge and brand power of PlayStation®. The company will establish PSP and the new ground breaking video download service as the natural partners for those seeking the ultimate choice of portable entertainment content. Focusing exclusively on delivering video content to the PSP, the Joint Venture will initially provide a wealth of video and film content to the more than 2.3 million PSP owners in the UK and Ireland. The two companies are already in discussions with entertainment content providers across Europe to facilitate future introduction of the service to European PSP owners. More information on the service will be announced by SCEE at Games Convention in Leipzig, Germany on Wednesday 22nd August. Sky is the UK’s leading entertainment company and operates the most comprehensive multichannel, multi-platform television service in the UK and Ireland. Around 21 million viewers in 8.6 million households enjoy an unprecedented choice of movies, news, entertainment and sports channels and interactive services on Sky Digital, the UK and Ireland's most watched digital television service. Sky’s aim is to offer customers unparalleled choice in content, delivered through innovative and technological advanced platforms that best serve the demands of today’s viewers. In delivering entertainment through the TV, PC and mobile, customers have more control and flexibility over what they watch and how they watch it. In addition to its digital television service, Sky also provides the UK’s largest 3G mobile TV service (Sky Mobile TV) and offers the UK’s only multi-platform on-demand video service (Sky Anytime). This weekend I really can't wait to see the first live-action Transformers movie in Colchester, Essex! My generation grew up with Hasbro's inspired rebranding - with a lot of help from Marvel - of Takara Tomy's Japanese puzzle toys Diaclone and Micro Change. And Transformers, alongside their ingenious stablemates, Microman and Zoids, are amongst some of the most imaginative and clever toy lines ever conceived. 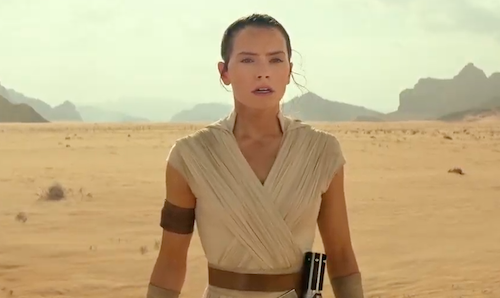 Critics may lambaste Hollywood for its voracious consumer-orientated ideology in the wake of Star Wars revolutionising merchandising - eclipsing box office receipts tenfold. I'm guilty of perpetuating the phenomenon, and dutifully aspire to George Lucas' and Steven Spielberg's adoration of toys; the term gadgets sweetens the pill somewhat. Movie-making is a glorious playtime, which can, at its best, also instruct and educate. Go on fellow deconstructionists, discuss. So, Michael Bay, director of Transformers, it's over to you for some serious Autobot vs Decepticon bot-bombast! Review to follow. Switched back to Windows Vista! Why? I'm keen to give Windows Live Writer Beta 2 a test drive and there's currently no Mac OS X client (get your skates on Mac Business Unit (Mac BU)). Microsoft has built a powerful desktop application blogging tool, which largely precludes the need to directly login to your blog account. Windows Live Writer can publish to Windows Live Spaces, Sharepoint, WordPress, Blogger, LiveJournal, TypePad, Moveable Type, Community Server, and many other weblog services. Windows Live Writer is by no means unique. There's an abundance of third party applications and widgets available for both Windows and Mac platforms. Yet, Windows Live Writer goes someway to consolidate rich publishing in one easy-to-use application. Setup is a breeze. However, I'd like to see more formatting options - such as justify - made available from the GUI. Of course you can switch to HTML and, manually, insert code yourself. You can post directly from within Windows Live Writer or save drafts locally and/or online. A very useful trick it has up its sleeve; updated drafts, saved locally, will overwrite the online draft if you saved at both locations. Therefore you don't need to worry about reconciling different versions or accidentally double posting (a bane of bloggers everywhere)! Today is the day that Harry Potter and the Deathly Hallows is released. To mark this auspicious event, our local Sainsbury's store, in Pinhoe, is draped in the trappings of the franchise. Harry has been burdened with a dark, dangerous and seemingly impossible task: that of locating and destroying Voldemort's remaining Horcruxes. Never has Harry felt so alone, or faced a future so full of shadows. But Harry must somehow find within himself the strength to complete the task he has been given. He must leave the warmth, safety and companionship of The Burrow and follow without fear or hesitation the inexorable path laid out for him. Happy reading and do post your comments on the book! 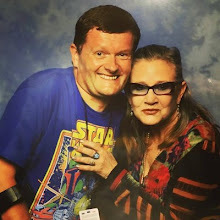 Star Wars Celebration Europe maybe over. 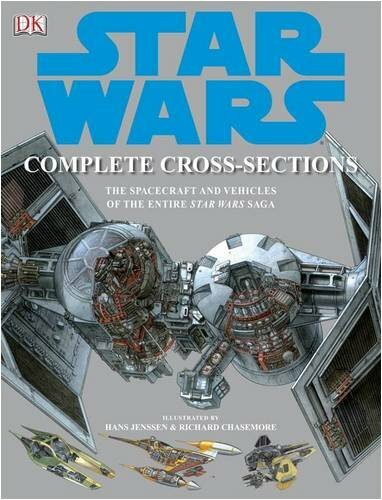 However, Dorling Kindersley (DK) and myself are offering four lucky readers a chance to win exclusive signed copies of "Star Wars Complete Cross-Sections" poster prints, signed by artist Hans Jensen, and You Can Draw "Star Wars" book, signed by the author Bonnie Burton and artists Tom Hodges and Matt Busch. Every fan's dream - step inside over 100 Star Wars vehicles. Open up the cockpit and peel back layers to reveal the weapon systems and construction secrets of over 100 Star Wars vehicles. Four fold-out pages take you right inside a Droid Control Ship, the Death Star, an Invisible Hand and a Republic Gunship in incredible detail. Discover everything you ever wanted to know about every key Star Wars machine from the "Phantom Menace", through to "Return of the Jedi". See inside the elegant Naboo starfighters and relentless TIE bombers and explore their background stories, history and even technical data. All revved up and ready to explore the universe? Feel the force of the pencil, get creative and bring "Star Wars" to life on the page. Follow the expert tips, tracings, fold out pages and stencils and draw body shapes which pack a punch (or a lightsabre), inspiring action poses, spectacular vehicles, out-of-this-world clothes and futuristic equipment. Put R2-D2, Luke SkyWalker and Darth Vader on the same page and create scenes and battles from your own imagination - if you dare! To enter for a chance of winning one of these coveted prizes signed by the author and artists, please leave a comment. Good luck. Special thanks to DK for supplying the competition prizes. Explore the Star Wars galaxy through DK books. Today I'm proud to announce a new site sponsor! NerdyShirts.com. They have just released 4 Limited Edition Re-Issue classic Transformers T-shirts to mark the release of the Michael Bay live action movie. "NerdyShirts.com was launched in 2004 by Myke Armstrong and Jacob Fatoorechi, and was incorporated into the MyFatRobot family of sites in April 2006 by Myke, Jacob, and William Barnes. NerdyShirts offers original funny, nerdy, and nostalgic tee shirts all printed on 100 percent cotton American Apparel shirts. In addition to all original designs, NerdyShirts buys full designs and even design concepts from site visitors or customers, and offers an affiliate program for tee shirt sales. New designs are released every Monday, and most are available in both men's and women's sizes." Earlier this year, NerdyShirts redesigned its website and has planned a whole string of shirt releases, and we're in the midst of working out both plans. We're the "little guy" of the t-shirt business, but we're growing fast and strong from our nerdy and proud community (just like us!). E3 played host to a veritable avalanche of exciting Wii news! From the Wii Zapper (remember the NES Zapper?) to Wii Fit and Mario Kart Wii to Wii Boogie. Big N has set its lofty sights (no Zapper-pun intended) on eclipsing Sony's PS2 sales record. Come to think of it, the Wii Zapper would've made for a very cool Transformer toy gestalt, combining, as it does, the Wii Remote and Nunchuk! Hasbro and Takara should ink a licensing deal with Nintendo pronto! Last Friday Paper Mario finally graced European Virtual Console, and the N64's beguiling swan song is richly deserving of your attention - "the best RPG on the Nintendo 64, and acts as a superb gateway to the genre," and "an RPG rich with ingenuity and style" with "all-important Mario moments that only a true fan will understand." The addition of the 2001 classic brings the number of N64 titles available via the Wii Shop to six, joining Super Mario 64, Mario Kart 64, The Legend of Zelda: Ocarina of Time, Lylat Wars and F-Zero X. Each costs 1000 points to download, which equates to about GBP 7 - or just over 10 Euros. Haven't got a Wii yet? Amazon.co.uk has stocks. Santa Monica, 12th July 2007. Sony Computer Entertainment Europe (SCEE) today announced the availability of a high value Starter Pack for PLAYSTATION®3, comprising a PS3, two first party games and two SIXAXIS™ wireless controllers, at €599. Rolling out across the SCEE territories from 13th July, and in all territories by 1st August, the new Starter Pack represents exceptional value for money as an entry point into the exciting world of High Definition interactive entertainment with PLAYSTATION 3. The choice of first party games available in the Starter Pack will vary to suit the interests of entertainment enthusiasts in each country, but will include million sellers such as Resistance Fall of Man™ and MotorStorm™; titles specifically chosen to demonstrate the stunning graphics and enhanced gameplay of High Definition games on Blu-ray disc. With an additional wireless SIXAXIS, motion sensitive controller provided for head to head and multi player gaming, the Starter Pack is sure to appeal to those seeking to enhance their entertainment experience with the best of 21st century technology. “With sell through of over 1.2 million units in the SCEE territories to date, PLAYSTATION 3 has proved to be an instant and huge success”, said David Reeves, President of Sony Computer Entertainment Europe. “The exceptional value of the new Starter Pack will bring the excitement of PlayStation® gaming to a much wider audience. Add to this a stellar lineup of software titles for the second half of the year and we are confident that this amazing value Starter Pack will encourage many more keen gamers to join the PLAYSTATION 3 community”. Star Wars Celebration Europe is being held at London's ExCel Exhibition Centre on July 13-15 and I've teamed-up with Dorling Kindersley (DK) to offer two lucky readers exclusive artwork prints taken from their stunning "Star Wars Complete Cross-Sections" book. Don't take my word for it, feast your eyes on the TIE Bomber and B-wing starfighter cross sections (not to scale) below. At Star Wars Celebration Europe DK are running a stand at S12. This will feature signings by the author and the two illustrators of "You Can Draw Star Wars", Bonnie Burton, Tom Hodges and Matt Busch. Plus a competition to win exclusive signed artwork. Celebration Europe will be the first ever Celebration event held outside the U.S. and will share many of the highlights of Celebration IV in Los Angeles "Star Wars has always been a global phenomenon, and the U.K. has long been our second-largest fan base after the U.S.," Steve Sansweet said. "With the continuing strength of Star Wars, it made sense to extend Celebration to Europe and I'm delighted to be working with one of our top European licensees, Cards Inc., as our partner on the show." One of the highlights for fans at an official Star Wars event is the chance to buy unique merchandise, and Celebration Europe will not disappoint, with an exciting and comprehensive range of exclusive products being sold. To enter for a chance of winning one of these coveted cross section prints, please leave a comment. Good luck. Special thanks to DK for supplying the competition prizes. Happy Fourth of July to all my US readership! Under the auspices of The Reverend Stephen Bessent and Funeral Directors, the Order of Service (PDF), for my mother's Funeral Service, is complete! Looks like Yahoo! hasn't completely forgotten about us Mac Users! The Yahoo! Messenger Blog is currently running a Poll for Mac users. If you want Yahoo! Messenger sooner rather than later, and avoid further tardiness, be sure to drop by and vote for a Mac OS X 10.4 Tiger release only. Even the beleaguered beta knocks, pre-Leopard, spots off of the current Windows version. That being said, I'll be keeping tabs on the upcoming Windows Vista update, which promises "3D" eye candy. In April, during the height of the, as yet unresolved, spat between Sky and Virgin Media, Virgin Media's Customer Service team offered me a discount on their M Broadband package. The Medium package offers a leased modem, internet security, and up to 2Mb with no download limits within reason. I noticed that the subsequent invoices did not reflect the promotion price and telephoned Virgin Media on Friday! Customer Services informed me that the offer had been withdrawn as I did not qualify for the discount - this was offered to customers registering online! Virgin Media had not advised me, in writing, of the change and, therefore, this was possibly unlawful! To which I aver. The Customer Service representative was most helpful and gave me a free phone number, to call, to discuss the matter, further, if I so wished. Cancellation was really the last resort and canceling Sky (Music and Movies Mixes), in May, had freed-up income. After several abortive attempts, one in which I was unceremoniously 'cut-off', I finally spoke to someone in their customer complaints department and was offered a significant reduction for the next 12 months. This was backdated to April. Well done Virgin Media, lets hope things go from strength to strength following the proposed buyout from private equity group Carlyle.